The "Welcome Wall" represents, pictorially and historical, cities, towns, and villages throughout Madison County. On display are important buildings during the early 19th century. The Madison County Historical Society will hold monthly meetings on the fourth Monday of each month throughout the year with the exception of December. The meetings will be held at 7 p.m. in the Bowman Room at the Madison County History Center, 11 West 11th Street, Anderson, Indiana. A speaker for the evening will be introduced and his or her speech will follow. The speakers are guests of the Society, our own County Historian, elected official, and/or someone in the community. Everyone is invited to come to our meetings. These meetings are educational and include informational topics that we make available to our members and to the community. July 23rd - Society Meeting - 7 p.m. - Speaker: Kelly Morgan - "Mounds Park"
August 5th - First Sunday meeting - 2:00 p.m. - Speaker: Chet Green - "Civil War"
August 27th - Society Meeting - 7 p.m. - Speaker: Aaron Riley - "WW I"
October 22nd - Society Meeting - 7 p.m. - Speaker: Melody Hull - "Restoring Cemeteries"
November 26th - Phillips Award Banquet - 6:30 p.m.
Everyone is invited to attend these FREE meetings. Parking is along 11th Street and across the street in the parking lot. Bring friends and family -- a full carload!! You will enjoy it!!! The History Center will be CLOSED as follows: From noon on Friday, December 21st until 10:00 a.m. on January 2, 2019. HOWEVER, during that time, the exhibit, trains display, and Doll Houses will remain OPEN on Mondays, Wednesdays, and Fridays from 10:00 a.m. to 3:30 p.m. Please use the double doors for entry. As before, you may attend any class and/or all the classes and activities. These are all free events and will be held in the Bowman Room at the History Center, 15 W. 11th Street, Anderson, Indiana. The classes are FREE of charge and you may attend any one or all of these meetings. 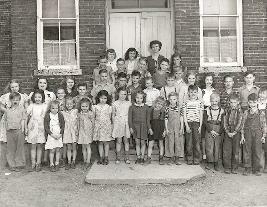 Bring writing materials and any family histories you have. For more information and to register(only to know how many are coming), please call (765)683-0052. Next time you are feeling rather unimportant, try a little math based on the un-debatable fact that it took two people, your parents, to get you here. Each of your parents has two parents, so in the generation just prior to that of your mother and father, there were four people whose pairing off and sharing love contributed to your existence. You are the product of eight great-grandparents, 16 great-great-grandparents, 32 great-great-great-grandparents, etc. Keep on multiplying the number by two. If you figure an average of about 25 years between each generation, you'll discover that a scant 500 years ago, there were 1,048,576 people on this planet beginning the production of YOU! So celebrate your background. Or don't you really know. You would not care to know. 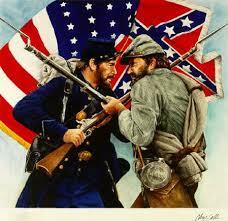 The Madison County Civil War RoundTable meets throughout the year. 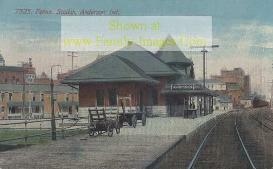 The meetings take place on the third Monday of each month at 7 p.m. in the Bowman Room at the Madison County History Center, 11 West 11th Street, Anderson, Indiana. September 17 - Roundtable meeting - 7 p.m. - Speaker: Jason Lantzer - "Rebel Bulldog, The Story of One Family, Two States and The Civil War"
RoundTable meetings are open to anyone who wishes to attend. Speakers come from all over and speak about the Civil War with emphasis on Indiana's participation. Gerald Jones and Steve Jackson are responsible for conducting the meetings. The meeting is free and open to the public. Parking is along 11th and Meridian Streets and across the street in the parking lot. For more information, please call 765-683-0052. 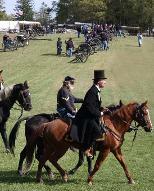 The Madison County Historical Society has received a "truly fine gift" this year. The gift is a large collection of very nice Aladdin mantle and electric lamps. The gift is from Bob Daniels, The Mantle Lamp Company, and The National Association of Aladdin Lamp Collectors. The collection is made up of over 70 choice examples of both electric and mantle lamps. This will double the size of our collection. For those of you who wish to follow Steve on his many speaking engagements, the dates, locations, group, topics, and times are listed on the CALENDAR PAGE. From now on, please use the calendar for a listing of all speaking engagements. Steve is a very busy man and if you would like to put that "zing" back into your organization's meetings, call 765-683-0052 and we'll hook you up! Thank you. The Delco-Remy book is available at our office at 15 West 11th Street, Anderson, Indiana. You may pick up a copy any time on Mondays, Wednesdays, and Fridays, 9 a.m. to 4 p.m.
You can have your copy of The Delco book for a donation of $45. For mail order, please add $10.00 for shipping and $3.15 tax. The Guide book is available at the Madison County Historical Society office. OR, if you wish, we can mail the book. The book is a $25 donation. For mail order, please add $5 for shipping and $1.75 tax. For more information on the Delco-Remy and Guide books, please call (765)683-0052. A Taste of Tradition cookbook can be yours for a donation of $10.00. For mail order, please add $2.00 for shipping and $0.70 tax. 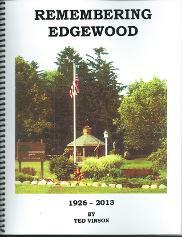 Brand new and available now is Remembering Edgewood written by Ted Vinson. The book covers the years 1926 to 2013. Buy it now for a donation of $40.00. For mail orders, please add $10.00 shipping and $2.80 tax. 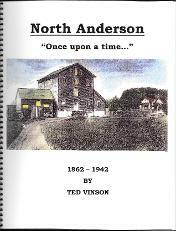 A new book from Ted Vinson about growing up in North Anderson. Buy the book now for a donation of $35.00. For mail order, please add $10.00 for shipping and and $2.45 tax. Use this handy order form. FOR MAP LOVERS--We now have available the 1901 Madison County Land Owners Map. Own this wonderful map for a donation of $25. For mail order, please add $10 shipping and $1.75 tax. This map is a big one at 32 inches wide and 65 inches long....so find a "big" place of it!!! Please note that when you order 2 or 3 of our books, shipping will be greatly decreased. For example; 1 cookbook, 1 Delco book, 1 Remembering Edgewood, and 1 Remy book will cost $12.95 shipping. So...please consider purchasing several of our books for your collection. Thank you for your donation.